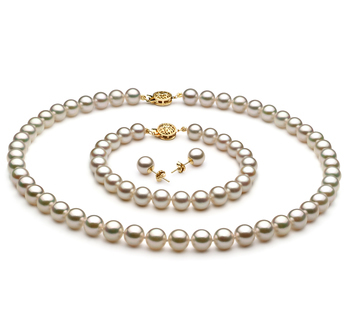 The Japanese Akoya Pearl is unique in its own right. Hand grown and harvested in the cold and frigid water of Japan, it is within an oyster where its seed is first planted rather than where many other freshwater pearls would find themselves being harvested from the muscle. 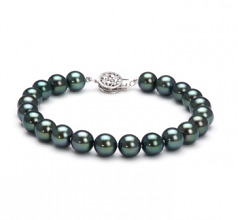 The Black 7.5-8mm AAA Quality Japanese Akoya Pearl Bracelet was born as a single dwelling pearl. 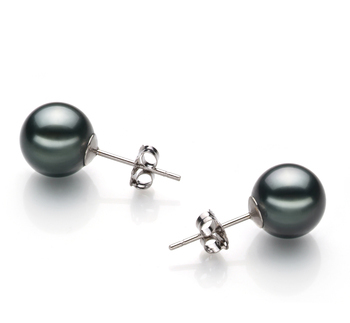 Its sheer 7.5-8mm size is on the larger end of the typical scale of up to 10mm. 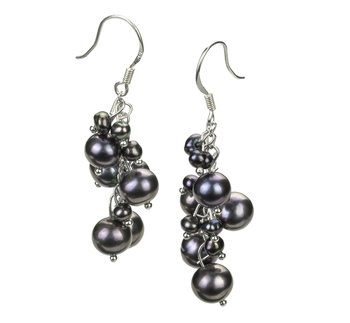 The (AAA) luster lends a direct hand in the dyed black pearl’s shinning surface and sparkling nature. 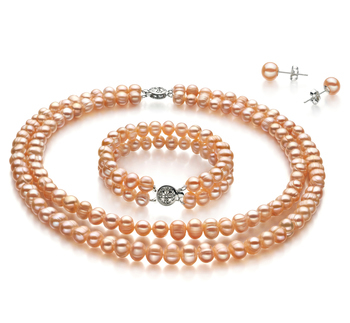 It almost appears as a mirrored image on each pearl. 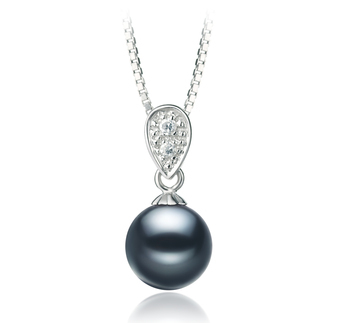 With a perfect (AAAA) shape, it becomes a more rare pearl due to the comparison of its size and perfect shape. 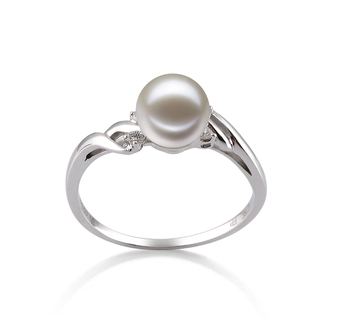 The perfect grade of its shape makes its shape flawless. 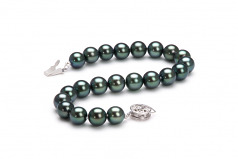 The (AAA)body and overall grade remain consistent with the luster and quality. The beauty and magnificent characteristics remain as mysterious and mythical and the Akoya itself.